This half term we have been trying to reduce all of the litter in the playground. To do this we have split the playground in to 5 sections. We have called our project exterminate Wibsey litter bugs. Our link teacher Mrs Bileyvych has helped us make this project really happen. We started our litter patrol on Tuesday 17th April 2018. 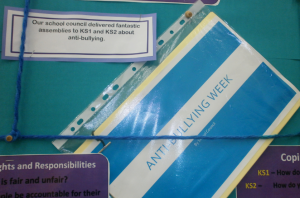 Anti-bullying week was a huge success at Wibsey Primary school. 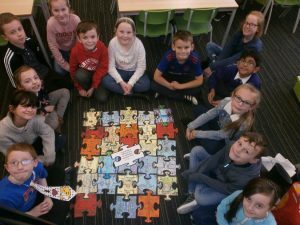 The message behind the national event this year was ‘everybody different, everybody equal’ and classes across school spent time celebrating how different and diverse we are whilst acknowledging that we are all equally important. 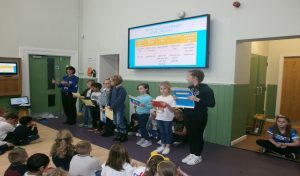 The school council did a fantastic job delivering anti-bullying assemblies to Key Stage one and Key Stage two! 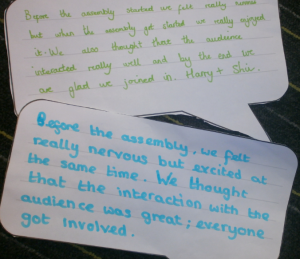 They spent a lot of time researching the content of their presentations and making sure that they were both engaging and relevant to the children. The Key Stage one assembly discussed important life skills such as knowing how to be a kind friend and the difference between bullying and falling out. 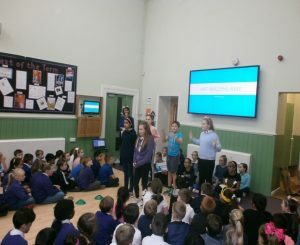 The Key Stage two assembly discussed various types of bullying and the responsibilities that we have in order to promote zero tolerance of bullying in our school. The believers did a wonderful job performing the anti-bullying song that they showcased at Wibsey’s Got Talent. The afternoon finished off with a catwalk parade where it was brilliant to see so many children wearing blue/spotty clothes and supporting such fantastic causes like Children in Need and Anti-Bullying. A massive thank you and congratulations to everyone involved! The School Council have had a fantastic and busy few weeks! We have been working on fundraising projects in support of our school McMillan coffee morning and Wyke food bank as part of our work around Harvest. We started by gathering research and developing our knowledge which really enthused our passion for supporting such incredibly important causes. 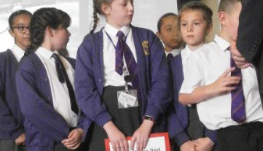 Our McMillan day at Wibsey Primary School was a huge success! We really enjoyed taking part in the running of the day. 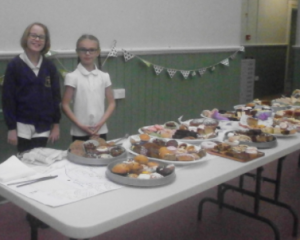 Thank you to Mrs Smith for organising the day and to all the people who donated yummy buns and cakes that they had baked. 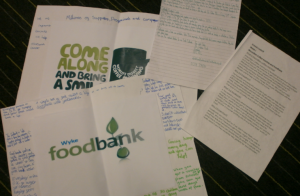 Following on from this, we were privileged to meet with Theresa from Wyke food bank. 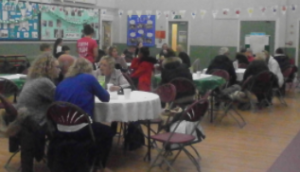 (Thank you to Mrs Moody for organising the meeting.) We had lots of questions to ask and we found out about how the food bank operates and the importance of donating other things in addition to food such as soap and carrier bags. We used our knowledge to collaboratively create a presentation which we shared at the school harvest assembly. 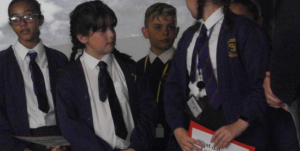 It was quite a nerve wracking but very exciting experience to speak to the whole school, especially when we were discussing something so important. If there is anything that you would like the school council to be working on, please speak to a class representative. ​The newly elected school council representatives have met for the first time and I’m really excited to part of such an enthusiastic team! In addition to playing a vital role in promoting pupil voice around school, the school council will be involved in fundraising projects. 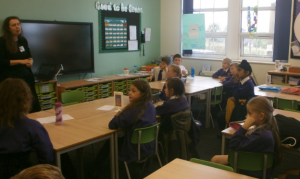 The committed group of children meet regularly with the link teacher and if you have anything that you would like the school council to discuss, please make sure that you speak to a class representative. The school council have noticed that lots of cars are parking on the yellow zig-zags outside school to pick up/drop off children. Whilst we recognise that parents don’t intentionally put our children at risk, the school council are really concerned about this because it means that children find it hard to look both ways across the road. The school council delivered a presentation about this to Mr Cooper and they did a really good job at speaking clearly and presenting their findings. Here you can see the power point presentation they used.